Technology is slowly creeping into all types of industries and niches. So, it’s no surprise that it’s moving from the board of our cars to the front and rear, grabbing the license plates and smashing the design we know and possibly enjoy. DMVs all over the world are interested in producing a new, technologically enhanced type of plate that will make tracking cars easier. Even more, authorities in charge of releasing new plates and registering cars and their owners, are looking to make the process easier, with less paperwork and effort behind. And I don’t blame them! 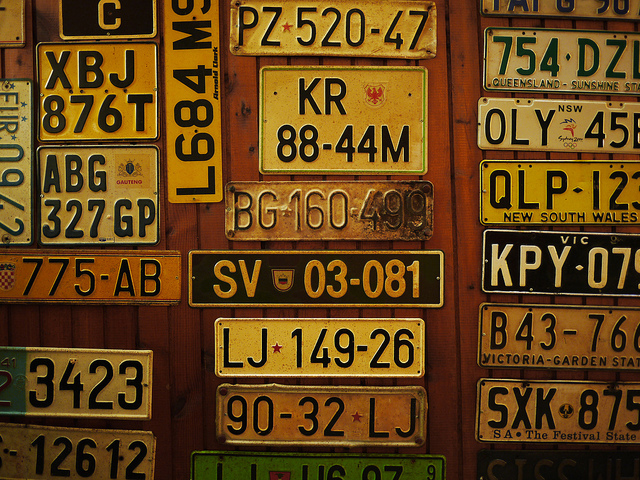 After all, there’s a ton of work to be done if a driver decides he/she wants a pair of personalised number plates instead of the old, dull-looking ones. From the processing of forms to the actual hammering down of the new plate, the process is lengthy and tedious. So how can technology improve things? This technology is already being applied in some parts of the world and consists in creating number plates with a special microchip embedded in the metal. The chip contains info on chassis number, owner’s personal identification number, past traffic offenses, and contact information and can be read from a distance of 100m using a special reader. This helps law enforcement agents learn everything they need about the car, and get a better grip in finding stolen vehicles or drivers with unsolved offenses in their file. Now, this technique may not seem extremely technologically advanced, but it is a step in the right direction. It does a good job when it comes to rushing through the verification process and helps the police keep track of more cars than before. 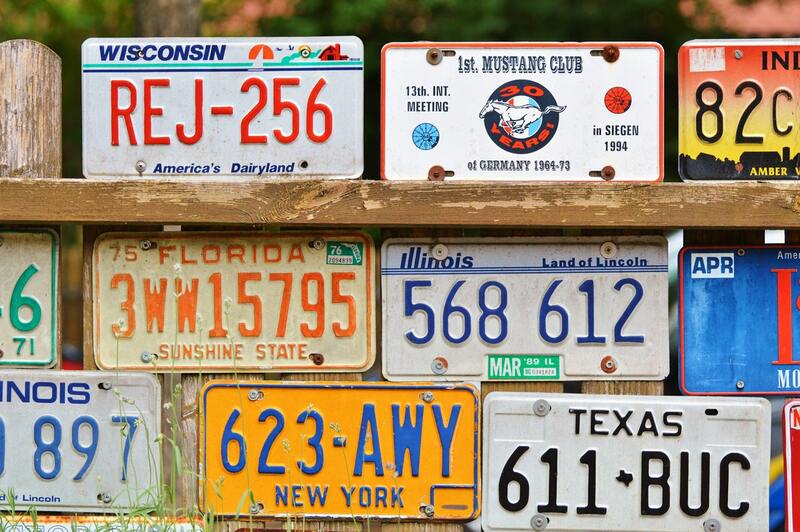 Also known as rPlates, these are the most-likely plates of the future. The idea was featured by a company called Compliance Innovations and promotes a tech-heavy type of plate that represents the DMV heaven, regardless of location. Why DMV heaven? Because it does everything for the law enforcement agencies but leaves the driver feeling deprived of their last shred of intimacy. The idea behind rPlates is indeed laudable, as it reduces the amount of work. It also improves communication between the DMV and the vehicle per se and keeps the drive out of long lines and boring activities like filling out forms. For instance, if you wanted to change your plates, all you had to do was send a request to the DMV and they could wirelessly make the change. You won’t have to remove the plate and install new ones, and you don’t even have to do anything else. The new number will simply show up on your plates and that will be it. But there’s more to the rPlates! First, it will be a way of communicating the driver won’t be able to control. Thus, it will keep in constant connection with the DMV and will show warning messages if you skipped paying your insurance or your vehicle is not taxed. There’s also a good side to this, as if the vehicle is reported stolen, the plate will flash a warning message, calling for attention. As you can see, the idea of electronic plates has ups and downs, but there’s a lot more to the concept that we can possibly fathom right now. So, why we don’t see it on the streets yet? Well, there are some problems to solve first. Things like visibility in daylight (as the information will be displayed on a screen), security (so it won’t be easy to hack), size (so it won’t be bulky), maintenance (screens are more sensitive than aluminium), and overall cost (right now it’s quite steep and no driver would venture to pay that much). When you mix technology and vehicles, there’s no shortage of cool ideas, but for now, the ones above are the only ones to make sense from point of view of number plates. Another interesting thought would be to give up on the actual registration system and use barcodes instead. It would definitely make it easier for cameras and readers to spot the information, right? Well, sadly humans would have quite a problem dealing with this system so it’s not exactly reliable. For now, the rPlates idea is the most down-to-Earth one and we may actually see it in practice soon enough.